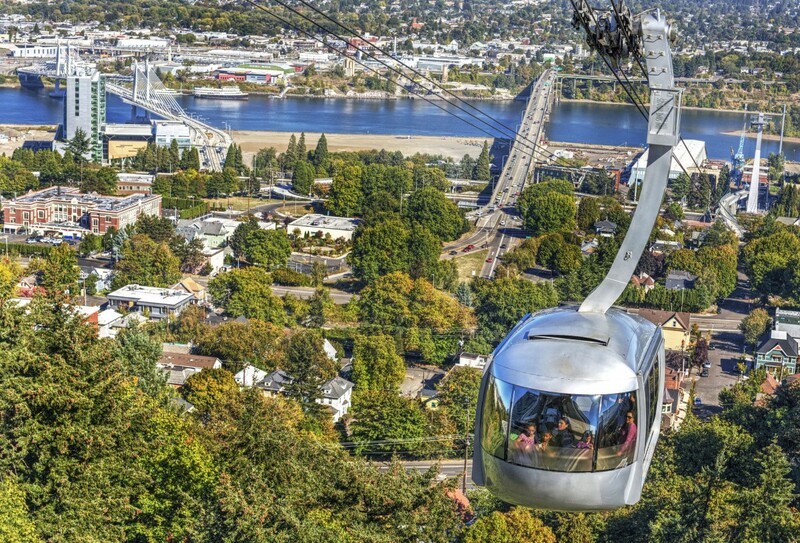 Traveling to OHSU for an appointment or work? Several current and upcoming construction projects will affect traffic and parking starting August 14. Here’s what you need to know as you prepare for your trip to OHSU. I-5 Exit 299A will be closed for construction August 14-31. 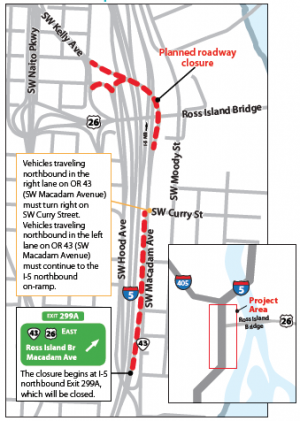 The Sellwood Bridge will also be closed from 7 p.m. August 19 to 6 a.m. Tuesday, August 23. Patients driving to OHSU from the south could experience traffic delays up to one hour. Many cars will be rerouted down Southwest Curry and will be delayed without the I-5 exit access. Between 400-500 cars per hour or 7,500 cars per day will be rerouted, which will cause substantial congestion and longer trip times. For detours and more information, visit ODOT’s project website at www.or43ramp.com. Temporary stops will be located at Bond and Lowell, and Moody and Gibbs. Southbound bus stops and the Portland Streetcar will not be affected by this closure. TriMet has announced that major work on the Rose Quarter area MAX stations will disrupt MAX service August 21-September 3. The Rose Quarter Transit Center, Convention Center and Northeast 7th Avenue stations will be closed. Orange and Yellow lines will travel with reduced frequency. The Green line will not run in downtown Portland. TriMet encourages you to plan for an extra 30-45 minutes and to expect delays, crowded buses and full trains. Shuttles will run between the Lloyd Center and the Yellow line’s Rose Quarter station. OHSU is expanding in the South Waterfront to better serve the needs of Oregonians for generations to come. Two new buildings are being built near the base of the Portland Aerial Tram and adjacent to the Center for Health & Healing. While every effort will be made to minimize disruption to patients, visitors and nearby residents, please allow extra time to get to your appointment. Expect intermittent road closures and extended sidewalk closures for the duration of the project. The Center for Health & Healing parking garage will remain open to patients and visitors during construction.